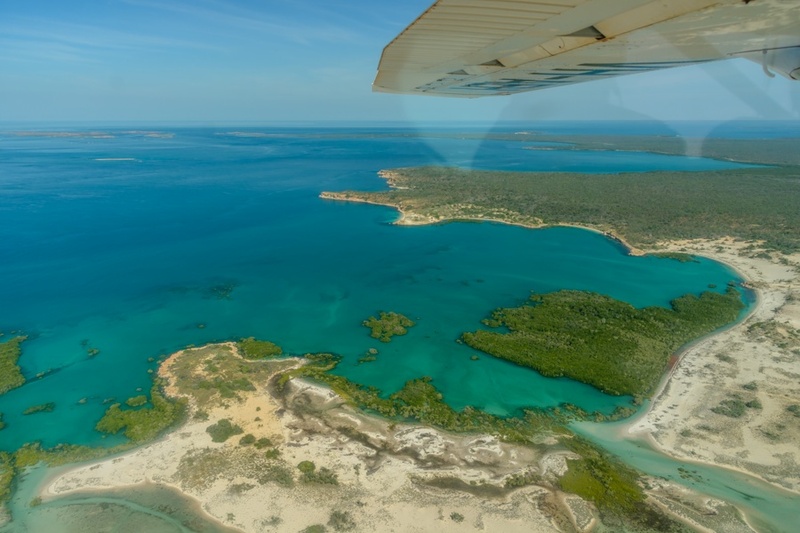 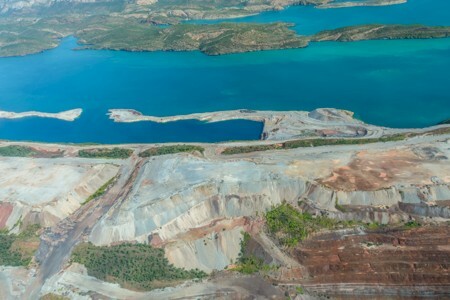 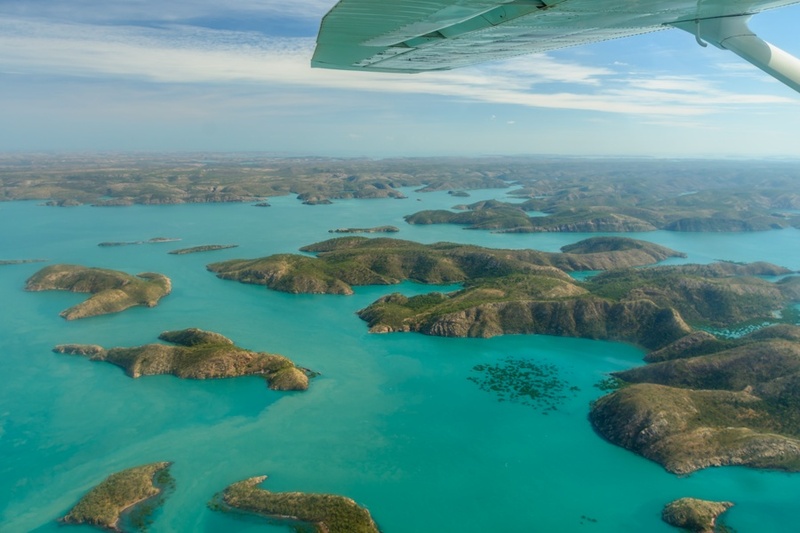 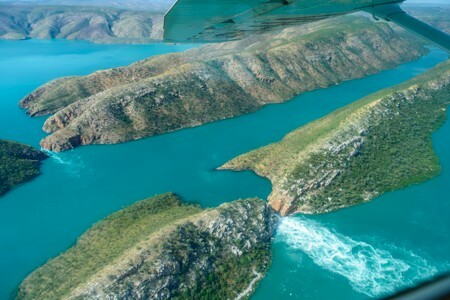 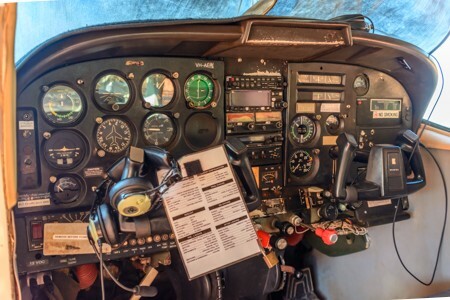 Dampier Peninsula and the Buccaneer Archipelago offer some of the most spectacular scenery in Australia, and a scenic flight aboard a King Leopold Air plane is the ideal way to appreciate and see such beauty from a different perspective if compared to land based tours. 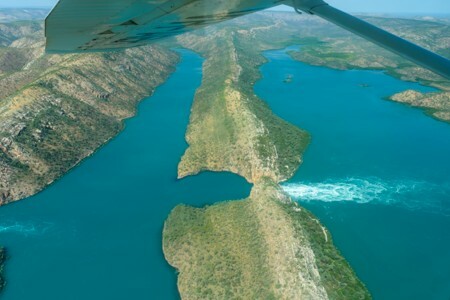 The plane flies also over the Horizontal Waterfalls, a strange physical phenomenon that, among the world, is more unique than rare. 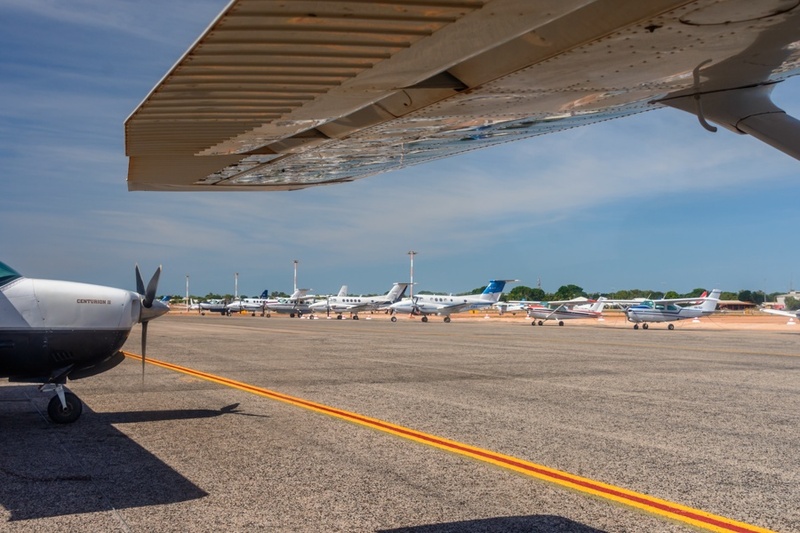 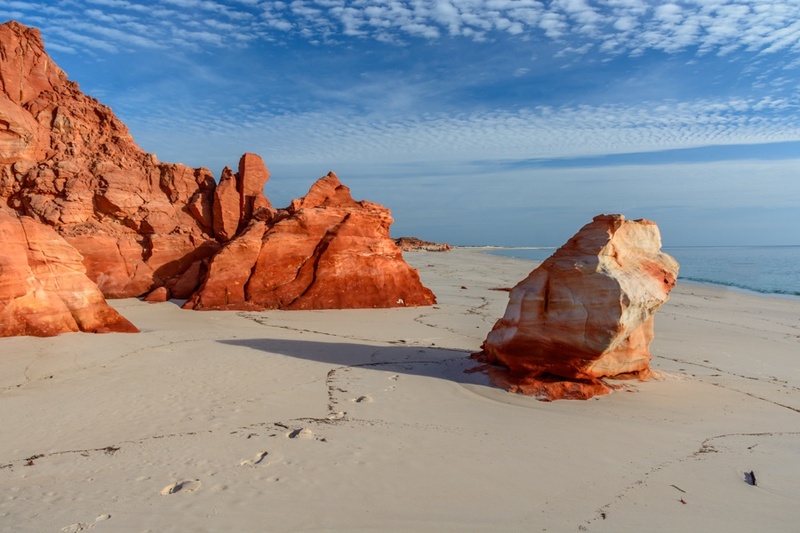 Broome, in the north of Western Australia, is the ideal starting point for excursions by plane, thanks to its proximity to many spectacular places that are not only difficult to reach by land, but viewed from top, offer a better perspective. 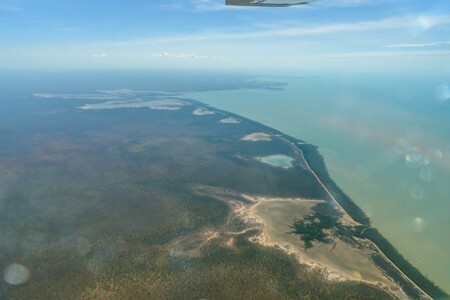 The flight seeing trip that I've chosen, is offered by King Leopold Air aboard a small Cessna C-206 and departs from Broome airport. 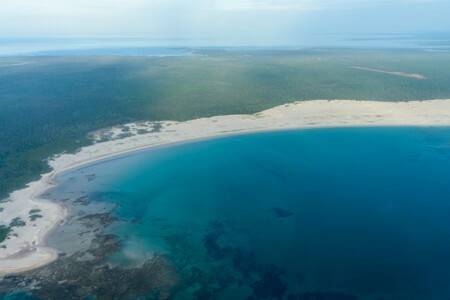 The itinerary is over Dampier peninsula and then to the Horizontal Waterfalls and Buccaneer archipelago, before landing at Cape Leveque for a refreshing swim. 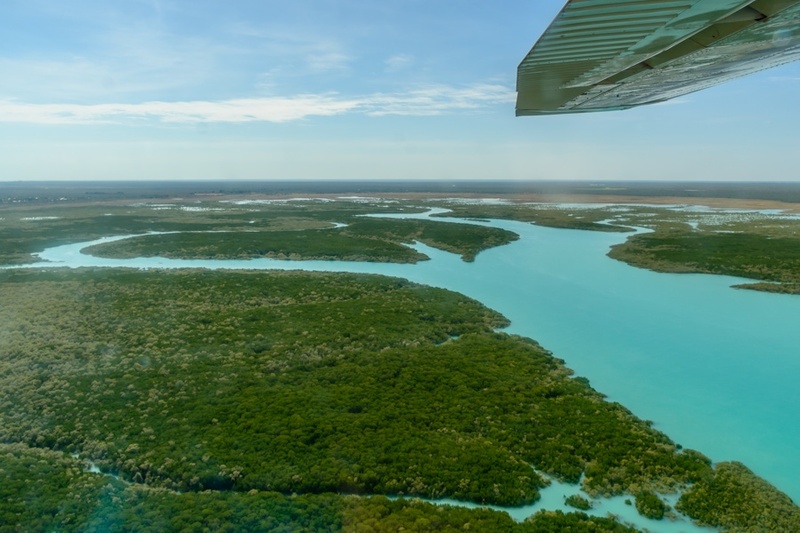 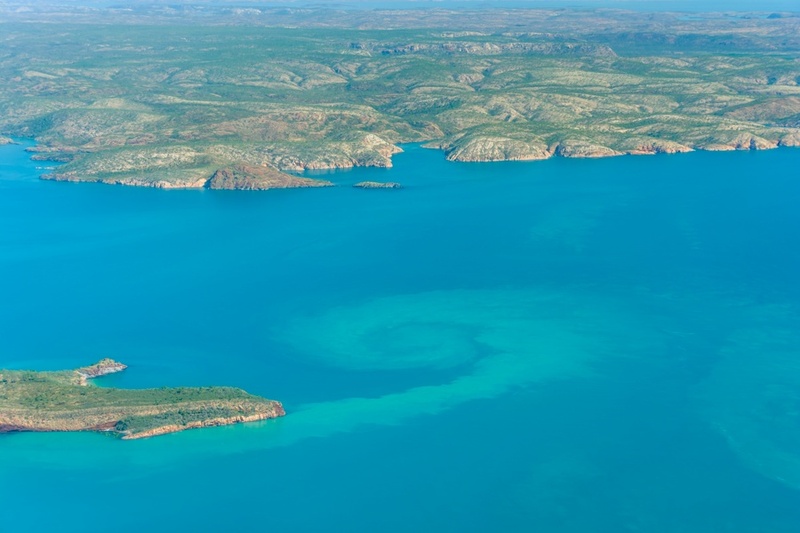 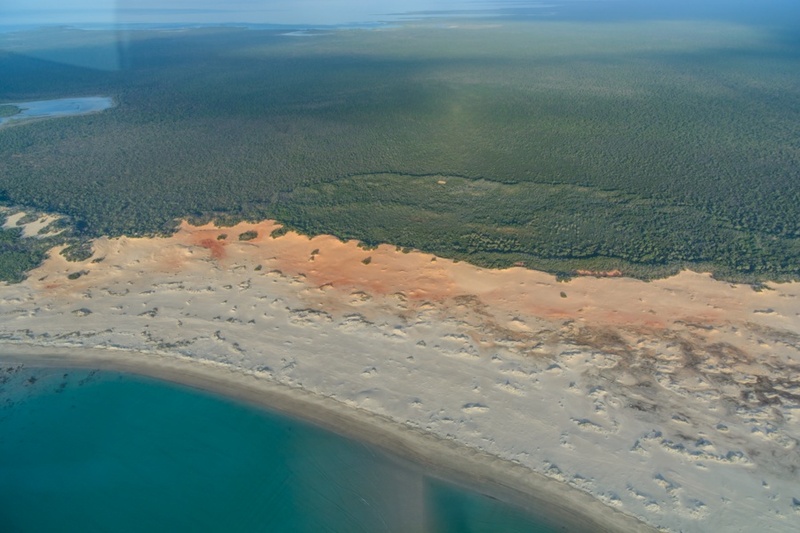 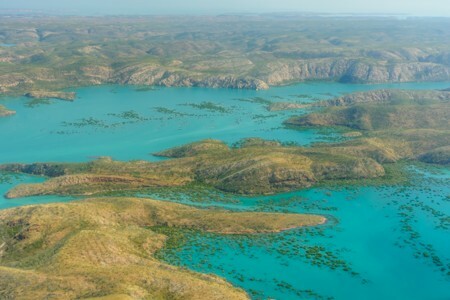 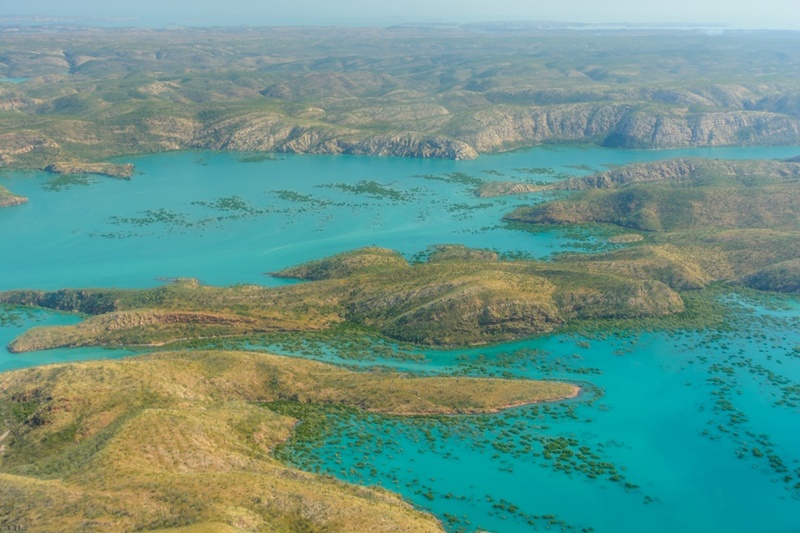 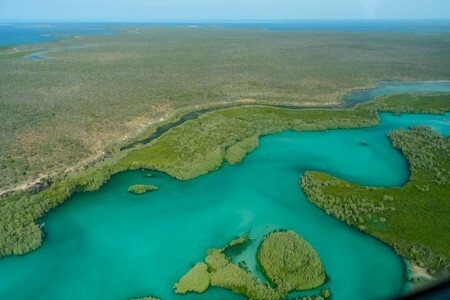 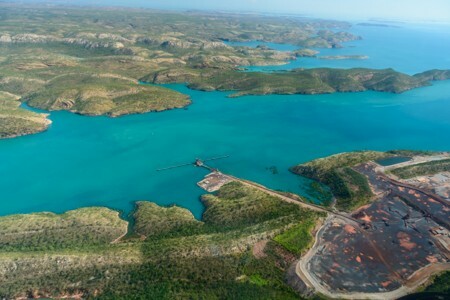 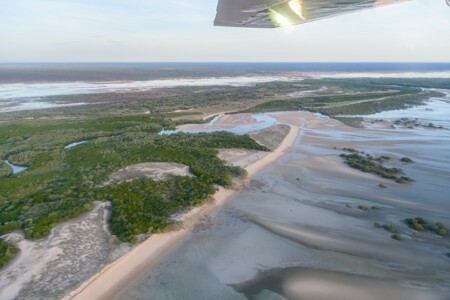 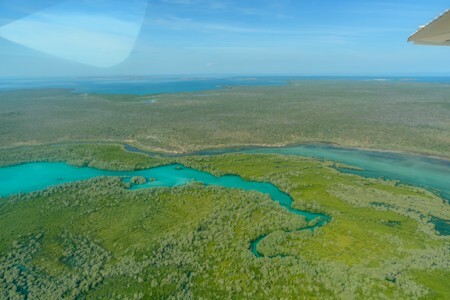 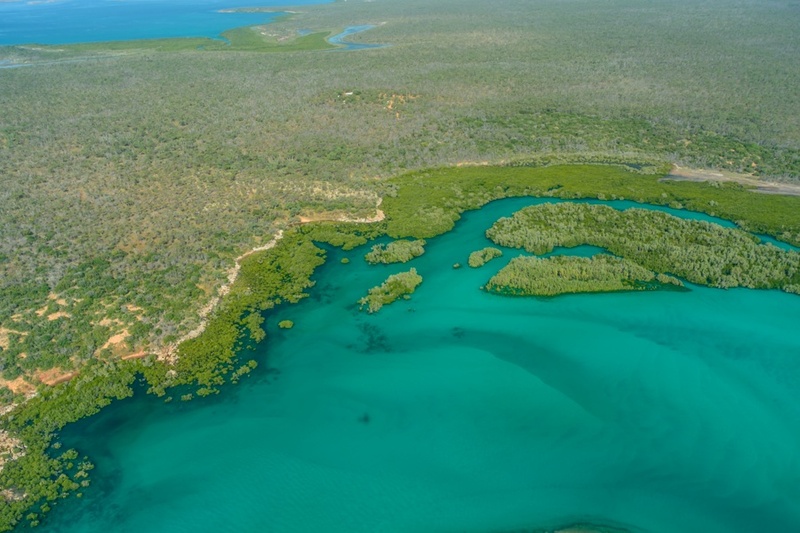 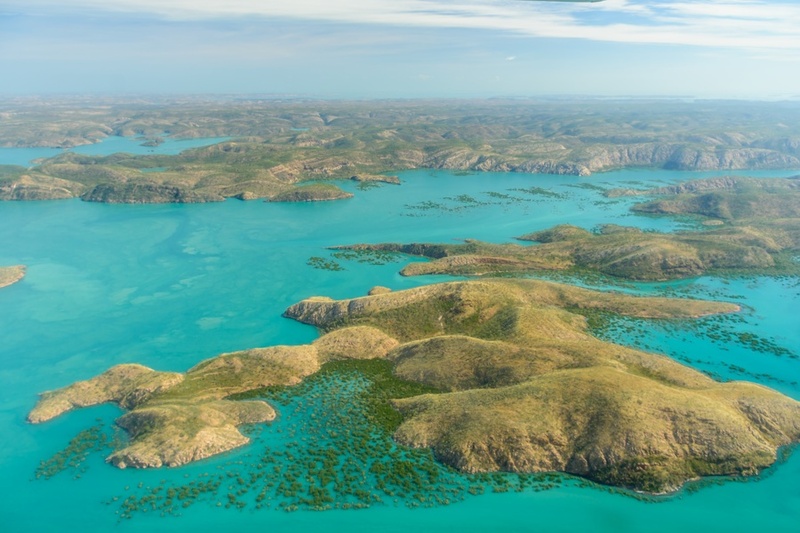 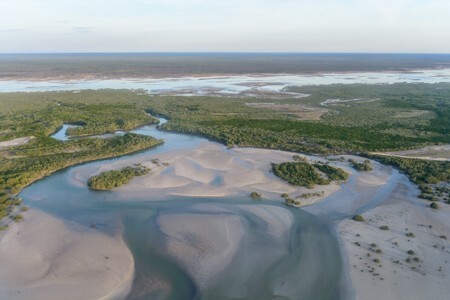 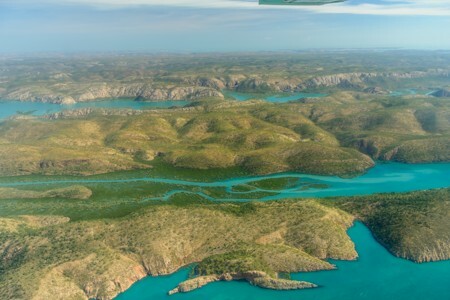 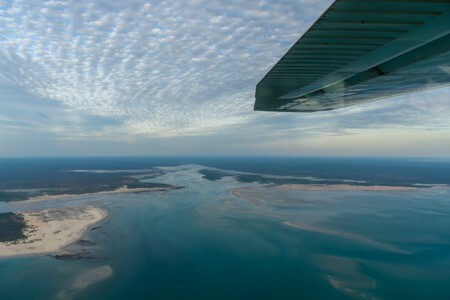 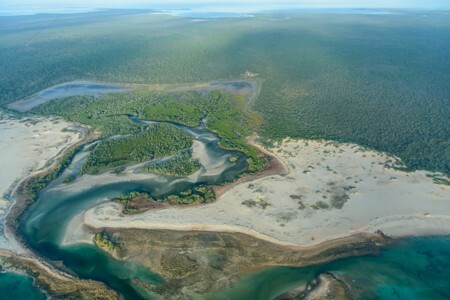 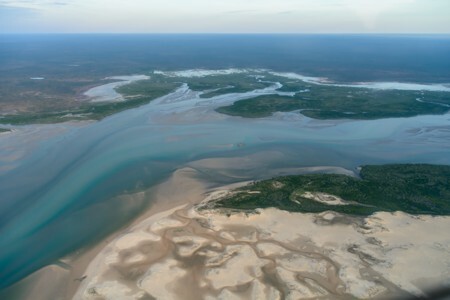 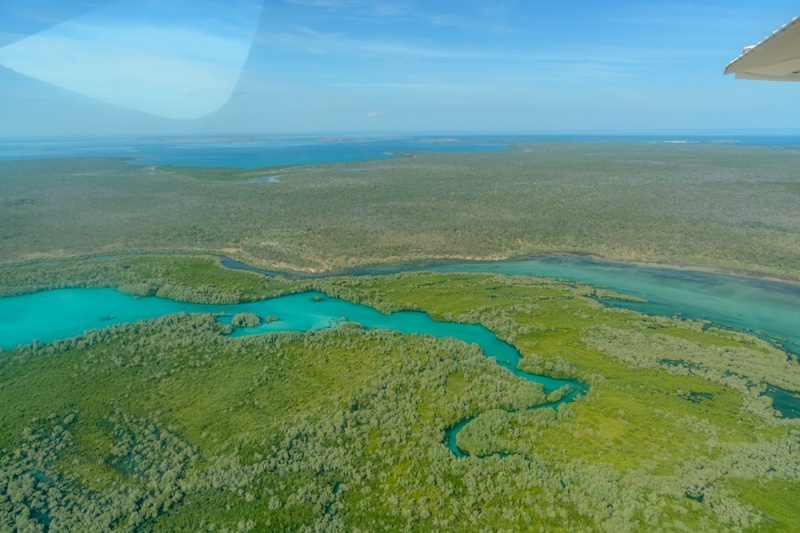 Immediately after taking off from Broome, flying eastward, visitors can see the Dampier estuary that collects water from some streams, before merging with the turquoise waters of the Indian Ocean. 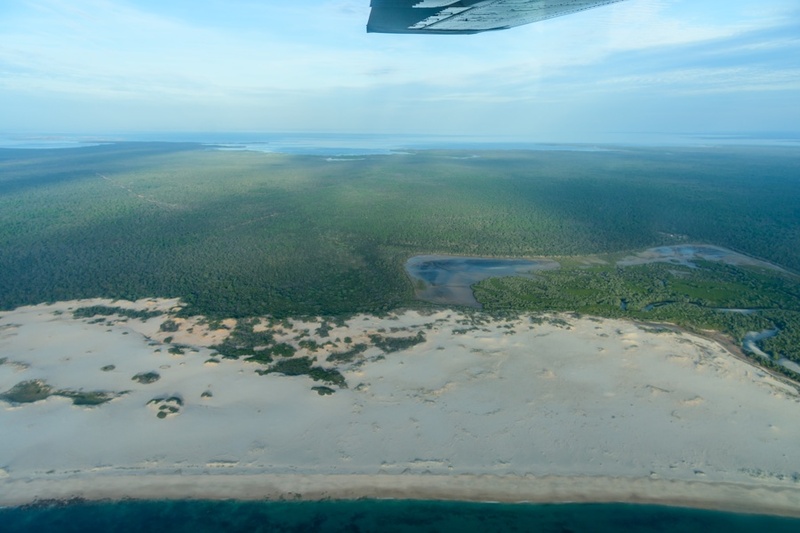 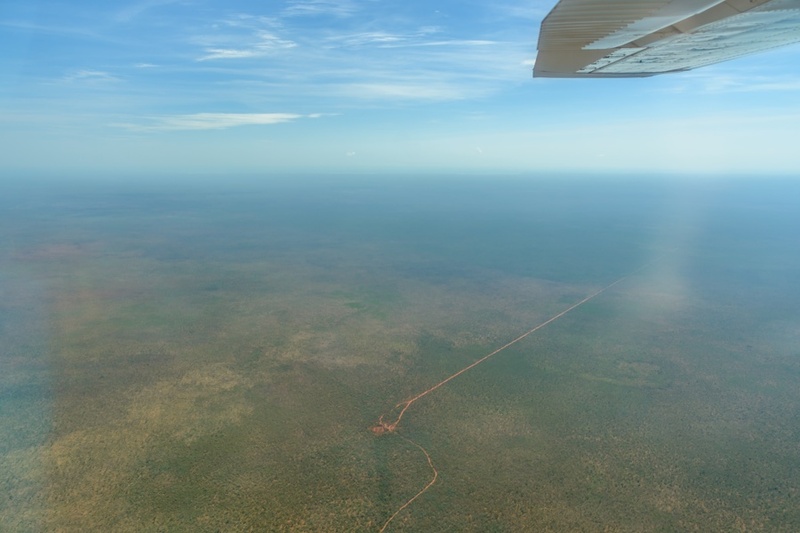 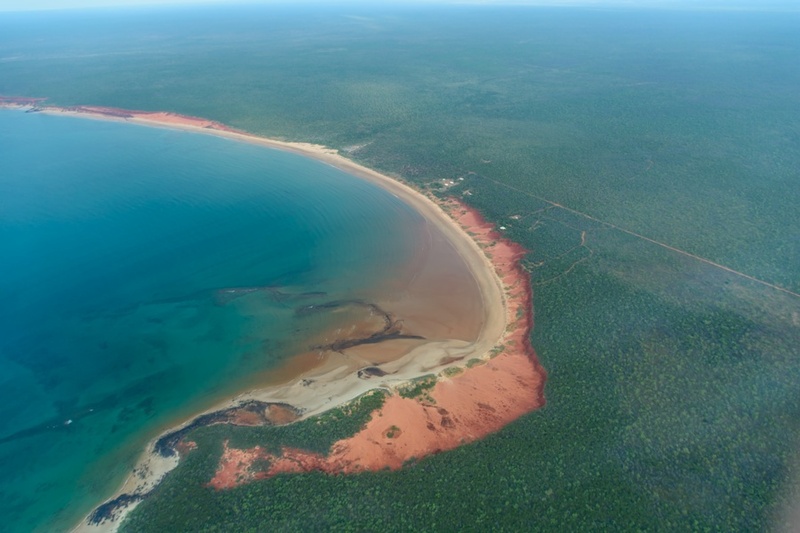 Initially the flight takes place over the Dampier Peninsula, a rather flat area dominated by an immense Savannah and crossed by some unsealed road. 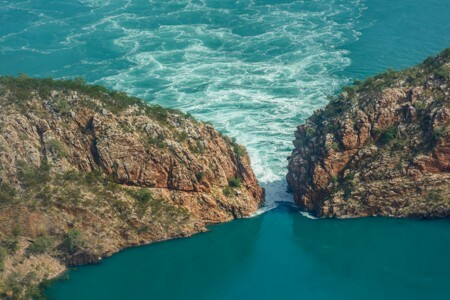 After an hour of flight, the plane reach the extraordinary Horizontal Waterfalls, in essence, a violent current generated by a small gap between two islands when the tide changes. 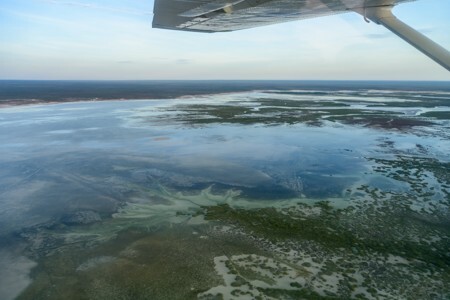 The results are the massive white ripples that can be seen on the surface of the sea. 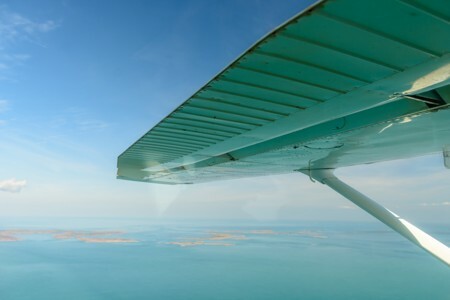 To make sure that all the passengers on the plane can enjoy the Horizontal Waterfalls, the pilot makes several S turns (the visibility aboard the Cessna C-206 is excellent thanks to its high wing design and because every passenger has a window seat). 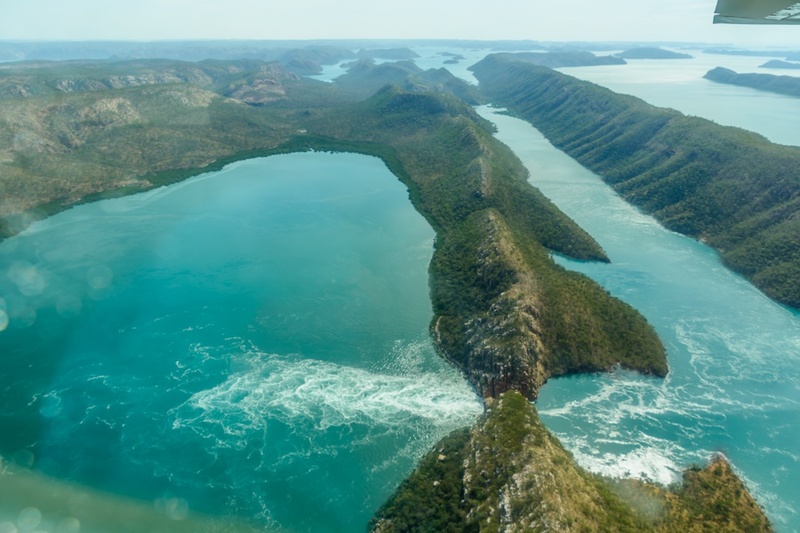 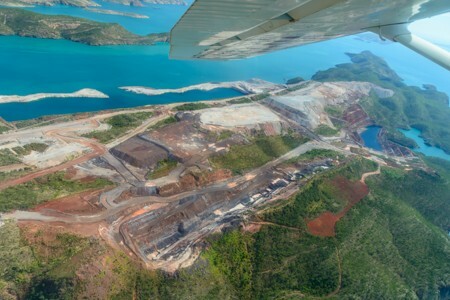 After a flight-seeing tour of Horizontal Waterfalls, the plane continues to fly over Buccaneer archipelago, a group of remote islands in northern Australia. 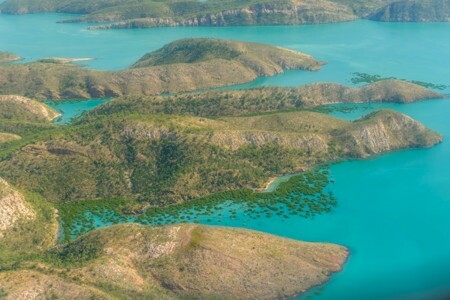 During the high tide, the mangroves along the coasts of Buccaneer islands, are partially submerged by the sea, creating strange green spots among the turquoise waters of the Indian Ocean. Some islands in the Buccaneer archipelago have beautiful white sandy beaches, completely deserted because they are very remote. 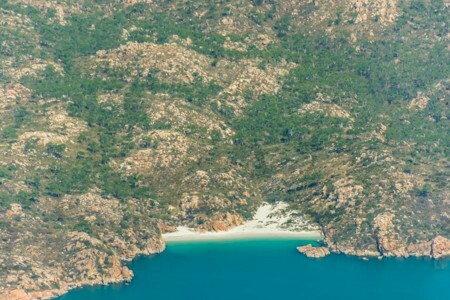 Among the waters of Buccaneer archipelago, there are often huge whirlpools highlighted by the sand transported by the strong currents generated during tidal changes. The color of the Indian Ocean's water is so strong, that reflects below the lower surface of the wing, otherwise white. Some islands of Buccaneer Archipelago are entirely exploited as huge mines, especially iron. 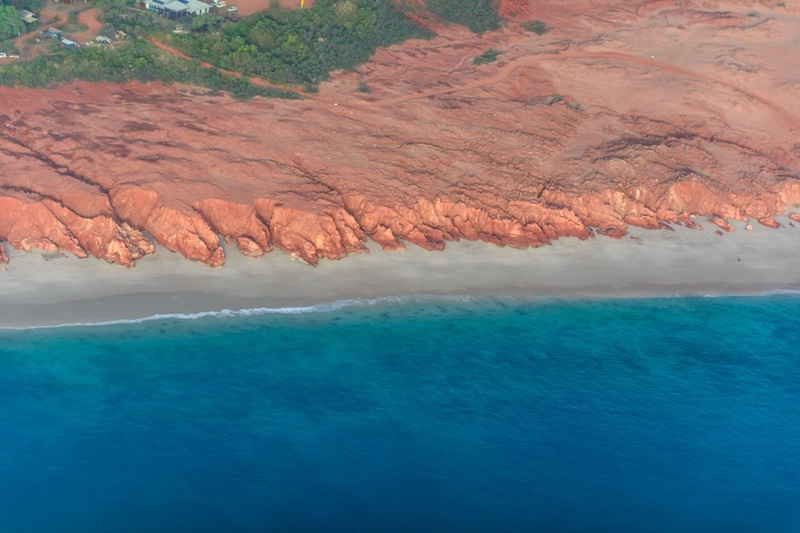 Even this part of Australia, like many other regions of the continent, is rich in minerals. After the scenic flight over Horizon Waterfalls and Buccaneer Archipelago, almost two hours after take off from Broome, the plane begins to descent to Cape Leveque airport, at the northeast edge of the Dampier Peninsula. During May, the landscape is still very green as the dry season has just started. 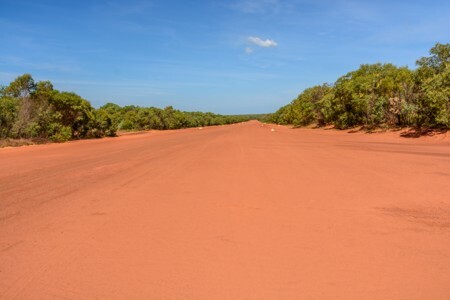 Cape Leveque Airport has just a long unsealed runway where small planes, such as the Cessna, can land safely. 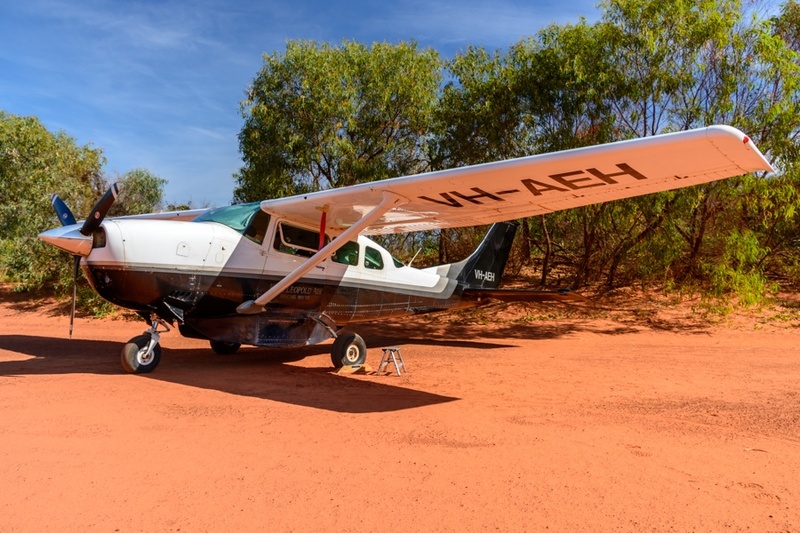 The plane is left parked near the end of the runway for a couple of hours, while the visitors have a lunch and a stroll along the beautiful beach of Cape Leveque. 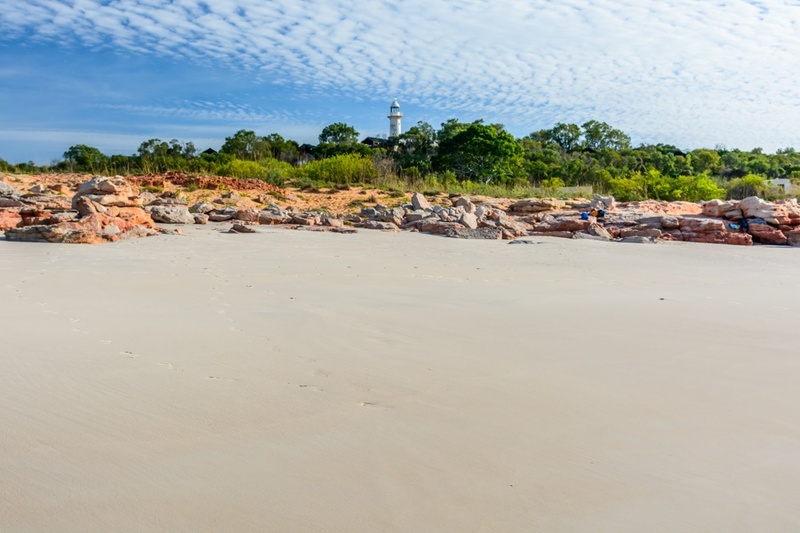 Less than a 10-minute walk from Cape Leveque airport, a stunning semi-deserted beach, offers the opportunity for a refreshing swim. 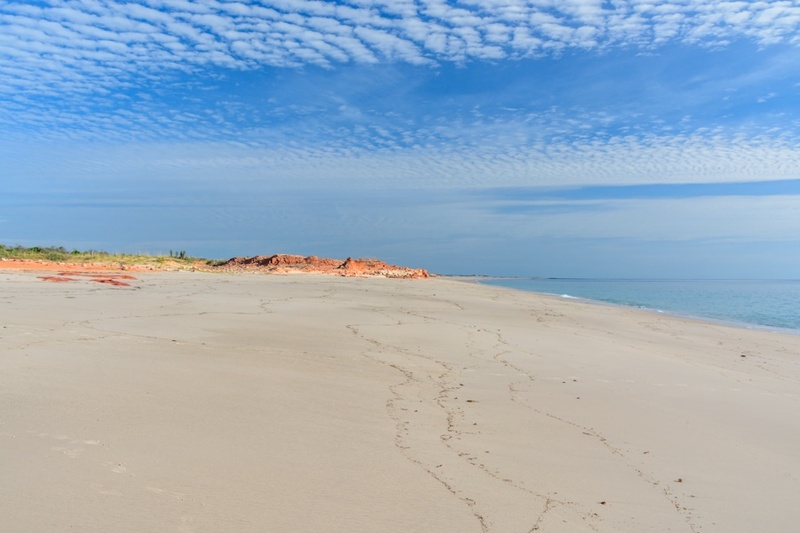 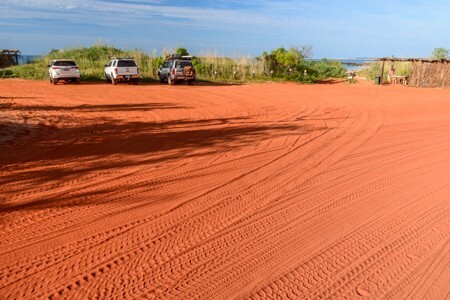 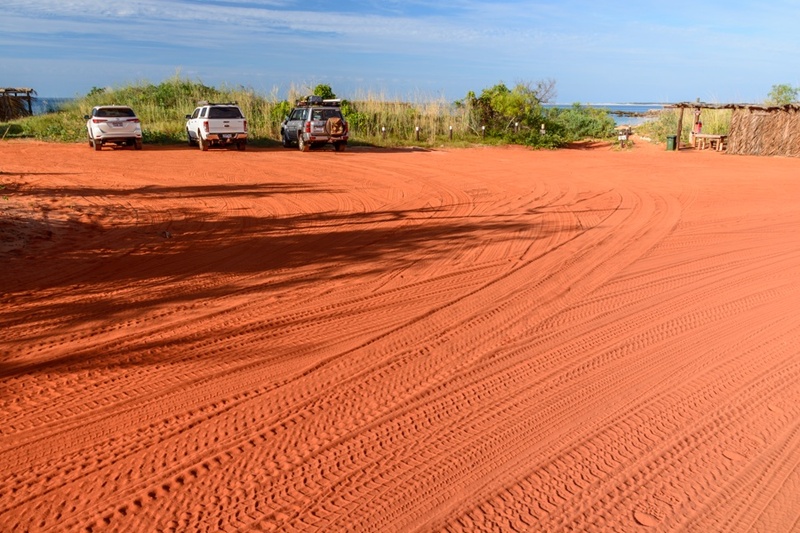 At Cape Leveque there are no paved roads, but just unsealed red tracks. 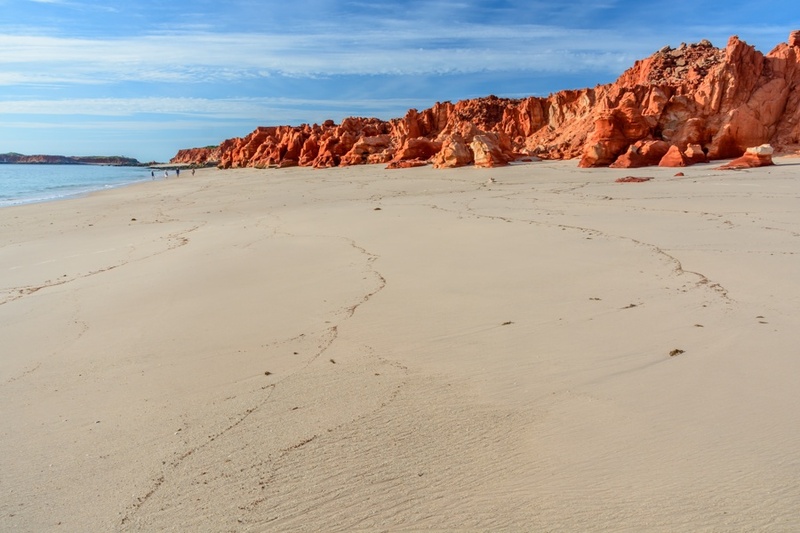 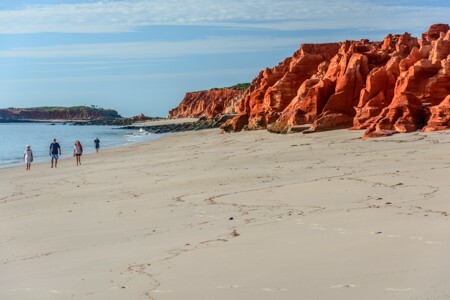 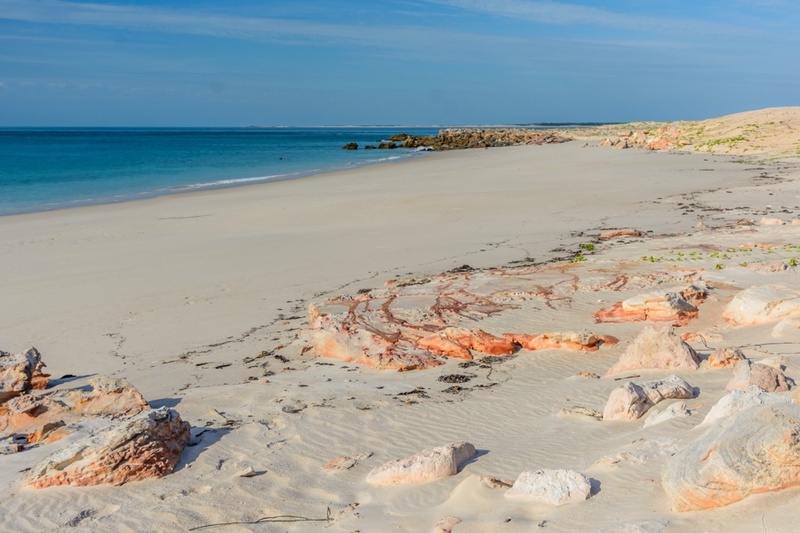 Equally spectacular is the beach at West Cape Leveque, where a red cliff ends above an immense white sandy beach. 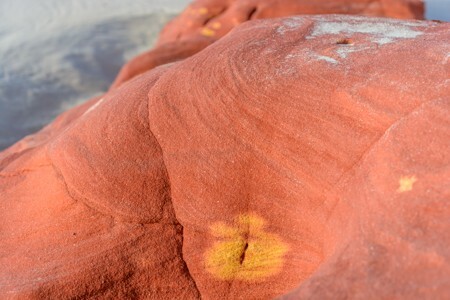 The cliff is made of colorful sandstone. 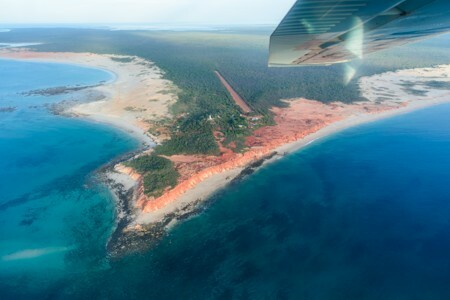 After the tour to Cape Leveque, the plane take off bound back to Broome. 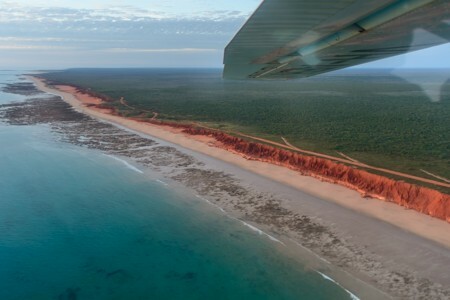 To return to Broome, the plane flies over the northern coast of the Dampier peninsula, letting to see beautiful remote beaches. 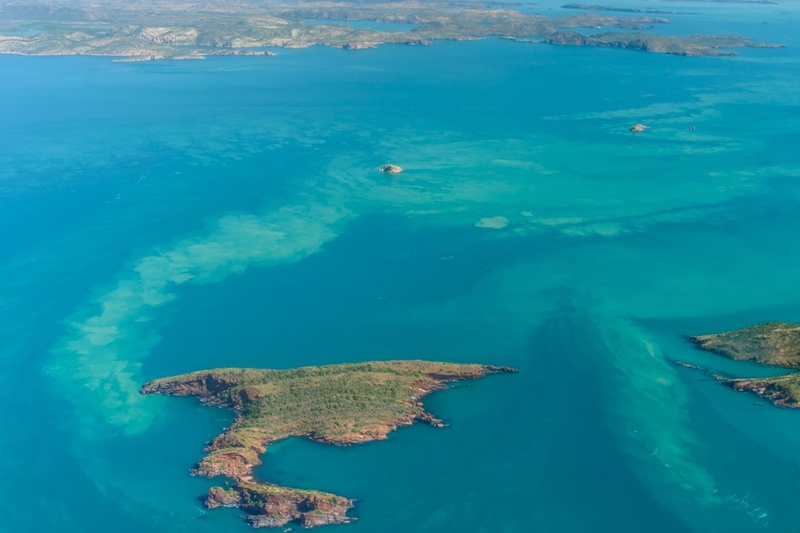 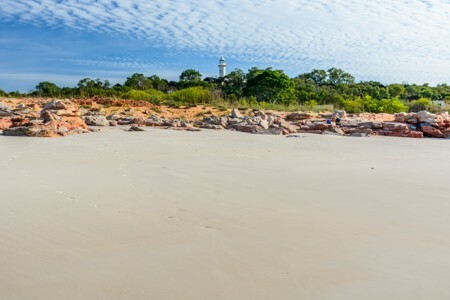 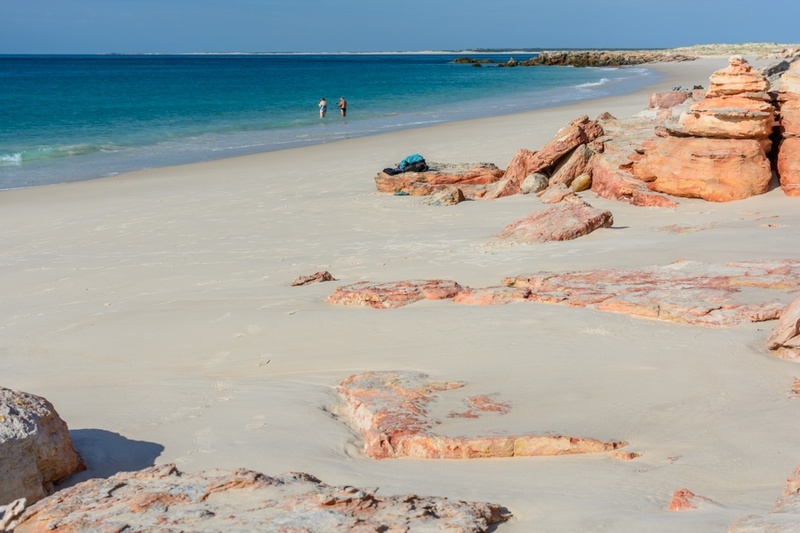 The beautiful beaches and lagoons along the coast of Dampier Peninsula. 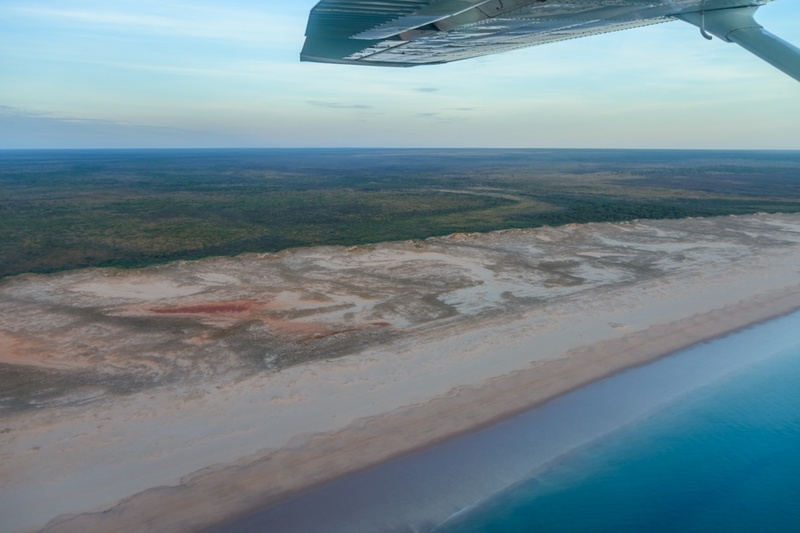 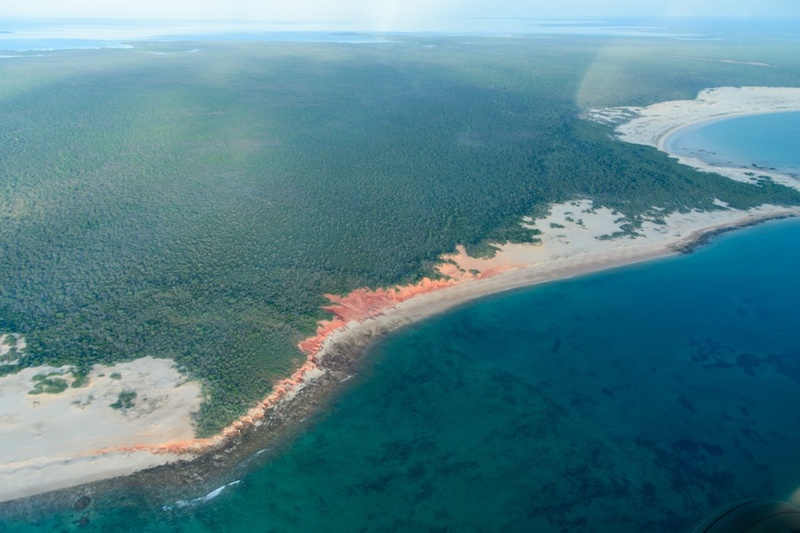 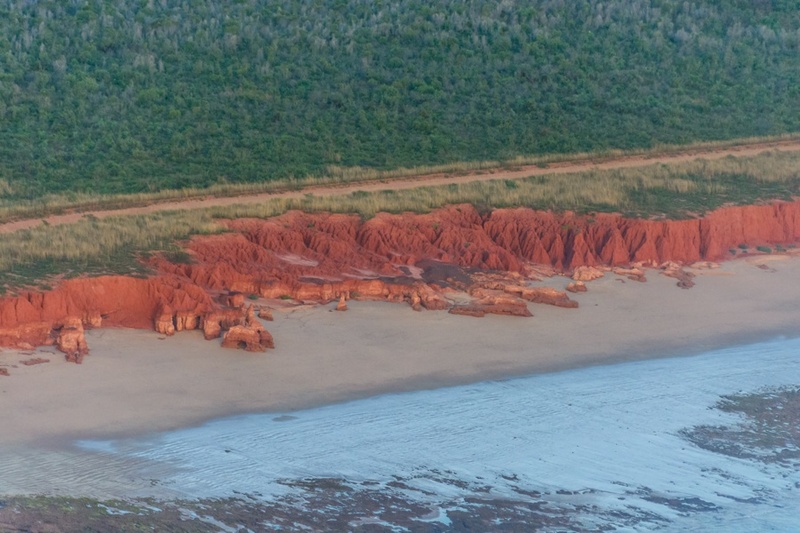 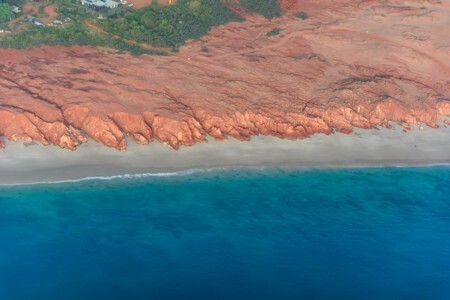 Shortly before landing in Broome, the plane flies over another beach dominated by a large red cliff, with the tide being at the minimum. 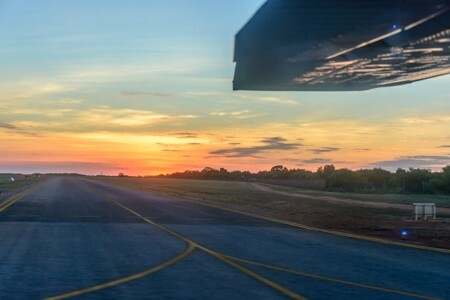 And it is sunset when the plane, one hour after takeoff from Cape Leveque, lands back in Broome International Airport.